Dr. Susan Pausin is a Chiropractor who has been working with families to help them live to their highest potential, for over 13 years. Susan helps clients shift their perspective on what it means to be truly healthy, and what role chiropractic care plays, she particularly enjoys the energy in the room when adjusting a whole family. As an elite level rhythmic gymnast in Canada Susan spent considerable time in various therapist practices during training. Her early chiropractic treatments solidified the idea that she would end up working in healthcare in some way or another. It was the premise of chiropractic that spoke to her. The premise that the power that made the body heals the body. It was an empowering point of view, to know that our health is under our control. Dr. Susan has a Bachelor of Science degree (psychology & biology) at the University of Victoria and a Doctor of Chiropractic degree at the Canadian Memorial Chiropractic College, where she achieved the Dean’s list as well as being a recipient of the Emma Goodrich scholarship. 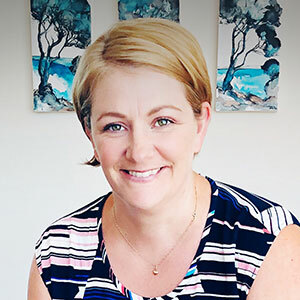 Following an associateship in Canada, Susan “jumped the pond” to Australia where she has practiced as an Associate and ran her own practice (@ Ease Chiropractic & Wellness) in Margaret River for 7 years before heading back to Perth. “As a Mother of two children, one must have balance between motherhood and career. I know that by the time you get to the point of being in pain, things have been going wrong for a while. Giving the body what it needs to thrive, including a clear and functioning nervous system, we become better able to cope with the stresses and demands of life”. When not helping people in practice, Susan is often found taking care of her two children or sweating at the Warehouse Gym. Dr. Susan is also passionate about healthy products and low tox living. As such, she has affiliated with an Australian online wellness marketplace that promotes merchant producers who do the right thing. Taking the guess work out for the average consumer, she runs various social media groups in support of this. You can follow Dr. Susan on social media @drsusanchelseachiro on Instagram or facebook.com/drsusanpausin. Dr. Susan is excited to be part of the Chelsea Chiropractic & Wellness team and looks forward to meeting you and your family where you are at with your health. She is available at times to suit you including Saturday and early evening hours. Get in touch with us today!